The author's thesis is that in Western societies the father has been ejected from his central position in the family structure, while the mother's role has been heightened, and the child placed at the top of the family pyramid - a situation that is not good for the child. Nevertheless, Naouri believes that this profound alteration in family dynamics is here to stay. And yet, the evolution of our species had given the father a central role to play in his child's development. It was the father who, unknowingly, endowed his child with the gift of the consciousness of time - but only on condition that his place within the family be recognized. This gift existed in opposition to the mother's natural tendency to satisfy without delay every need of a child she could scarcely imagine was no longer part of her. Given the father's diminished role, how can today's child acquire an awareness of time and, consequently, recover the father's gift? Perhaps, says Naouri, infant care must be entirely reexamined, because it was based on the recommendations of pediatricians whose bias was overly maternal. Only by redeeming the father's priceless gift will future generations be safeguarded. 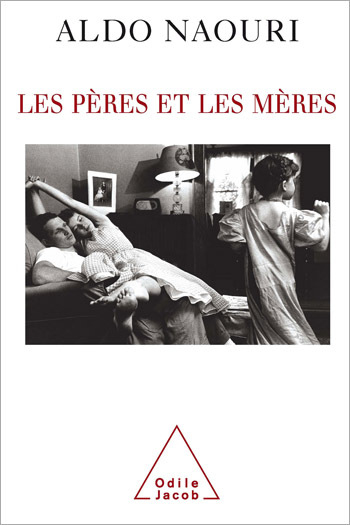 Written in a lively, accessible style, this is a polemical work about some key issues on education, and a companion volume to Naouri's earlier book on mothers and daughters, Les Filles et leurs mères. Aldo Naouri is a pediatrician specialising in family relations. He is the author of Le Couple et l'enfant, Questions d'enfants, Réponses de pédiatre, L'Enfant bien portant and the highly successful Les Filles et leurs mères.